The apartment is located in a 5 star resort which include the international hotel chain Barcèlo. The resort offers 4 swimming pools, including one small for babies, 6 restaurants and a large Spa. There is a gym available for our guest. Around the complex is located many interesting shops. 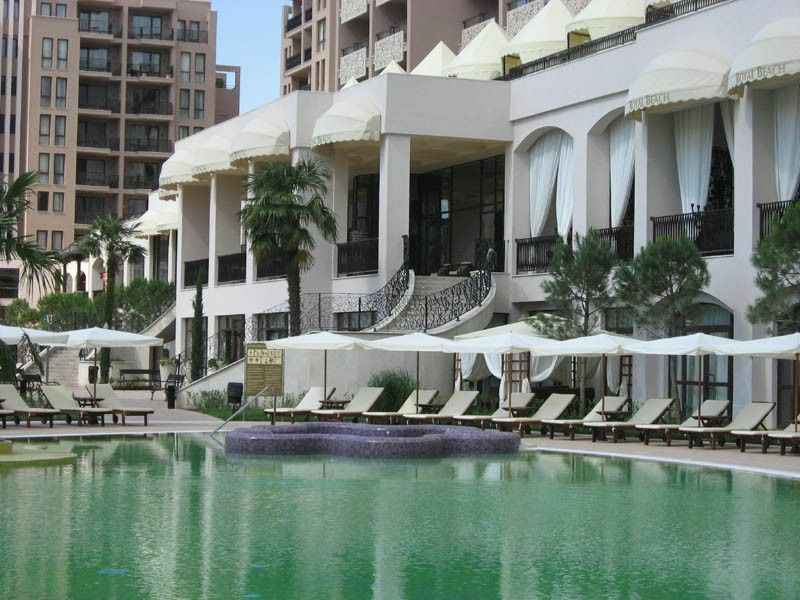 Enjoy your holidays by relaxing around the pool area, use the spa or take a swim in the Black Sea. There is a lot of entertainments in the area. The apartment was lovely. Very well equip coffee maker, dishwasher, cooker and fridge. Two LG TVs. Sunny Beach, Nessebar, Spa, Paragliding.